Growing up, I was neither a big believer of magic (or wearing big red shoes). Sure, it was fun to think some of us possess extraordinary abilities to pull random objects from top hats, levitate, or split a girl in a box in half and put her back together. It was certainly entertaining to watch, but as a child, I never bought into it. However, a year after meeting my significant other, I’m starting to believe I do, in fact, have some kind of magic ability. There is no way I can be this lucky to celebrate my one year anniversary with this person without some sort of extraordinary explanation. It is for that reason that I decided to celebrate one year of magic on the magnificent Carnival Magic. Our 7-night Western Caribbean itinerary was nothing short of breathtaking. Our three ports of call were Montego Bay, Jamaica, Grand Cayman, Cayman Islands, and Cozumel, Mexico. From the very first moment you lay your eyes on this massive 3690 passenger ship, you can’t help but feel a little giddy inside. With 15 total decks and 1004 feet in length, all the onboard experiences you can hope for, and the smell of newness still in the air (maiden voyage in 2011 and as of this writing the second newest ship for Carnival’s fleet), this ship is nothing short of spectacular. Get Ready for Floriade 2012! There are events that occur annually that you might really enjoy every now and then and there are events that occur every couple of years that you may make a point to attend. Then, there are certain events that happen every, say, 10 years that are just simply amazing. The Floriade is exactly that. This international celebration of horticulture and nature is an amazing experience that happens once every decade. I guarantee you will want to be in Venlo from April 5th to October 7th. The Annual World’s Largest Cruise Sale is Back! It’s that time of the year again! What was formerly known as the “World’s Largest Cruise Night” has been expanded to National Cruise Vacation Week’s World’s Largest Cruise Sale. During the week of October 17th – 23rd, you can expect cruise sales from all of the major cruise lines including Carnival Cruise Line, Disney Cruise Line, Norwegian Cruise Line, Holland America Line, Princess, and more! Deals included (but not limited to) Reduced Rate on Sailings, Up to $500 On-Board Credits, Coupon Booklets, and Added Amenities! 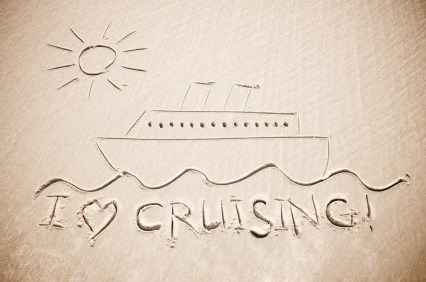 Click here to see all of this year’s cruise deals! For some, this event can be perfect for planning early birthday or early Christmas gifts! For all, this is certainly the time to finally book that vacation you have been planning for so long! 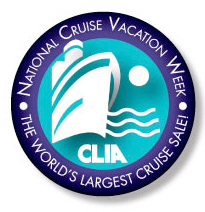 For those who are not familiar with the event, both members of the Cruise Lines International Association (CLIA) and travel agent partners come together each year and hold the single largest cruise promotion of the year. To give you an idea of just how big this event is, in 2010 CLIA reported over 50,000 consumers attended WLCN events held by 1,432 agencies. Throughout the year you can find cruise specials and deals if you are diligent enough and have the patience. For this event however, you can be sure that almost all cruise lines will be having special sales! 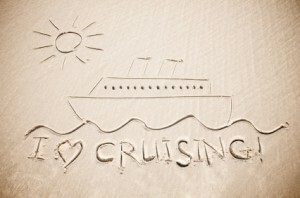 The best part is you now have a whole week to decide on your perfect cruise! With this event growing larger each year, you can be assured that there will be no shortage of savings and special promotions. And as always, AffordableTours.com is here to bring these savings directly to you! Plus, as an added bonus, we’re giving away a $100 Dining Dough Gift Card* for every booking! Offer excludes all Carnival Cruises. Offer applies to all new cruise and river cruise bookings made in the week of October 17th – 23rd only. Please call for additional details. Additional restrictions may apply. Rick Mereki Encourages Us To Move, Learn and Eat. In 2008, “Dacing Matt” Harding became a YouTube sensation with his videos showcasing both his arguable dancing abilities and his amazing travels. His first video was posted in 2005 as a result from his 6 month, 17 country backpacking trip as a departure from his game developer desk job. Currently his video has 39 million views and has sparked plenty of copycats. Now, 2011 brings us Rick Mereki, who is an Australian filmmaker commissioned by the student travel agency STA Australia, has created a series of three one minute long videos in his campaign “Move, Learn and Eat.” Mereki’s videos, with the help of his buddies Tim White and Andrew Lees, will have you itching with the travel bug before the end of the first clip. Filmed in 11 countries over a span of 6 weeks, these videos are sure to inspire anyone to do as the title suggests – move, learn and eat.